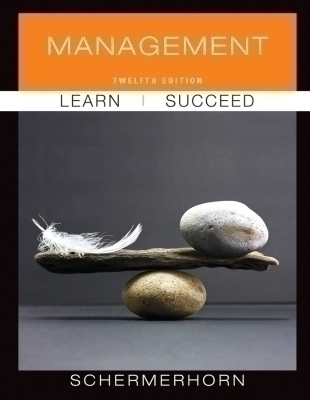 Author(s) John R. Schermerhorn, Jr.
We’ve got you covered for Principles of Management with John Schermerhorn’s Management 12th Edition. From new cases and self-assessments to the Fast Company Video Series and Management Weekly Updates, the text and its comprehensive suite of resources promote critical thinking and active learning. Thoroughly updated while maintaining its trusted, balance of concepts and applications, Management 12th Edition allows you to present the most current material, help students apply theory and show relevance of management concepts in the real world—so your student will succeed in your course and beyond.